Maximum of 20 guests. Minimum is 6. 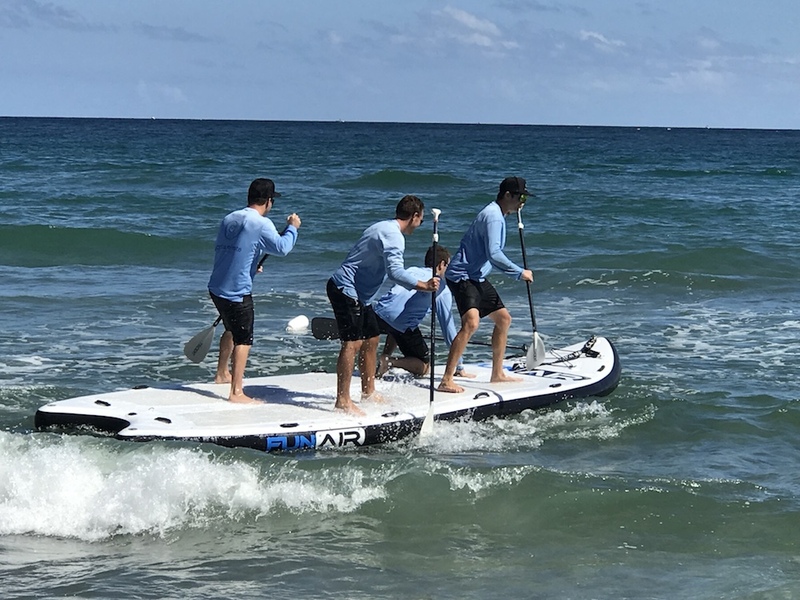 Our paddleboards are perfect for cruising, cross-training, and small waves. All boards come with an attached leash, adjustable paddle, fitted life jacket and safety kit. It is recommended that guests wear bathing suits & sunblock. Launch, with assistance, off of our floating dock. Explore the infamous Lake Boca protected waterway, with it's mangroves and mansions. Glide along with manatees and sea turtles in our stable two person ocean kayaks. Up to 10 people per excursion. 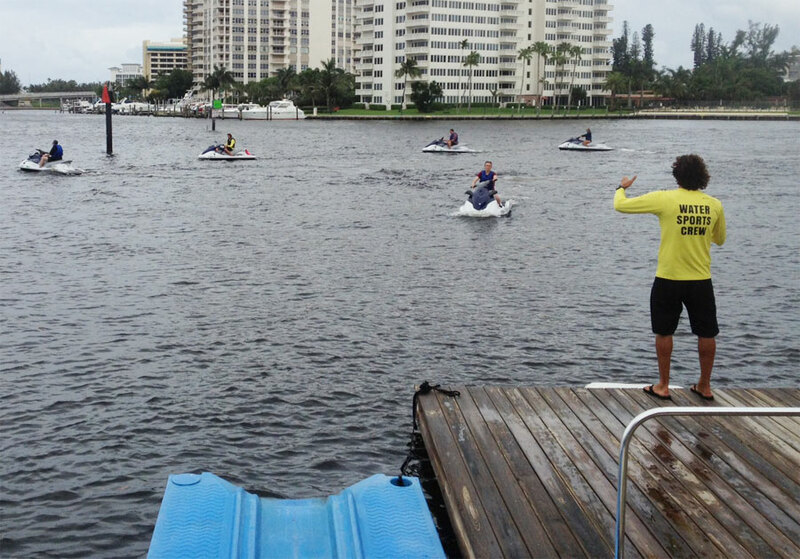 We offer both intracoastal and ocean waverunner excursions. During the tours there are designated tour guides leading it and keeping the group safe as well. Experience the native wildlife while our expert tour guides highlight interesting facets about the nature and geography of the region. Our Yamaha waverunners are very stable, safe machines which make navigating the backwaters a literal breeze, so even a novice can enjoy the tour in comfort and style. Join us for a fun 3 hour Snorkeling Excursion/Catamaran cruise in the calm warm waters of the Atlantic Ocean & lake Bocaaboard the Palm Breeze 55 feet Catamaran. During our three-hour guided tour, passengers receive all necessary gear and board a 55 foot sailing catamaran yacht. Come join our watersports team in the fastest growing sport. Flyboarding is available for ages 10 and up. Riders must be at least 80 lbs. Sessions will be 30 minutes long. Contact us for group pricing and reservations. A very popular and exciting events we offer is our Raft-Up Party Event. We sail the catamarans in the ocean or bay area, then anchor the boats in a calm anchorage, where we rendezvous with an assortment of fun watersports, kayaks and paddleboards. Safety briefing and riding instructions given before each rider goes on excursion.